For the past several years, Felicia Day is someone who has become almost synonymous with the term “Geek”. As an actress in LA she has made guest appearances in TV shows from Lie To Me, to House, and is a certified Joss Whedon alumnus having appeared in three of his various series. During this time she has also written, produced, and acted in her own web-series The Guild, and last year founded the internet channel, Geek & Sundry. Earlier this week she released a youtube video announcing that this would be returning for a second year, and also talks about a subject that is important to her, her audience, and myself. What is it to be a “Geek”? In the six years I have been doing this, that word has become something else. We’ve been using it so much that it’s kind of lost meaning. Geek has become a cliche. It’s become a label. It’s become something to monetize, to market to, to pigeonhole, to brand, to exploit. It’s become something that describes a person who is defined solely by liking comics, or games, or movies, or TV, and it’s like we’ve become these consumer badgers that will eat anything you can put a zombie or a superhero on, and just like STOP! Just stop. That is not what Geek means to me. We are more than the hobbies that we do, or the things that we like. We are not mash up t-shirts, don’t get me wrong I love a good mash up t-shirt, but that is just like the superficial stuff. To me, Geek means an outsider, a rebel, a dreamer, a creator, whether it’s our own world or someone else’s. It’s a fighter. It’s a person who dares to love something that isn’t conventional. The mantra of Geek to me, is “your judgement is not my problem”. You think comics are dumb? Fine. You think I may not be a real gamer? Whatever, that’s your problem. I think we need to re-own Geek. In the ten years since her recurring role as a potential in Buffy the Vampire Slayer, Felicia Day has gone on to slay numerous outmoded stereotypes and gender roles. In a world where female gamers (especially attractive ones) are thought to be either non-existent or should be looked down upon, she has been a role model of campaigning for Geek acceptance just by getting out there and doing her own thing. Although I discussed their/our representation in films from Scream to Fanboys for my MA dissertation (albeit using the more academic term of “fans”), like too many others, Geek is a word that I take for granted in order to describe myself, my friends, and the things we enjoy. The origins of the word itself, stem from 18th century circuses, referring to the freaks in a sideshow. Whilst it’s safe to say that this is no longer strictly true, its connotations have remained for a long time, and it seems like only recently that its use is becoming less disparaging. Also throughout these past ten years, more and more aspects of what would previously have been labelled as Geek culture have made it to the mainstream. Perhaps it was my growing up in rural Britain, but back when Felicia was known as Vi, names like Joss Whedon and The Avengers would have had most people I know either scratching their heads, or thinking of 60’s spies. This last summer however, Marvel’s heroes’ and their writer/director’s were the most talked about throughout the entertainment world. Not that I am begrudging them their popularity, Whedon is an accomplished film-maker who deserves to have his work seen by a wider audience (allowing me to boast that I was a fan before it was cool), it seems to me there is a difference between Geek becoming accepted, and appropriated. In fact it seems that like Che Guevara before it, Geek culture is now seen by many to be less rebellious and more fashion statement, often referred to as “Geek chic”. Once the image of an ostracised Geek, “thick lenses in black framed eyeglasses – he wears a Ramones T-shirt” is now seen as fashionable. More than just an overall fashion it seems that specific icons of Geek fandom, even the punk band The Ramones have also suffered this fate. Likely due to their retro punk image, but also perhaps in part due to their endorsement by conspiracy theorist Richard “Ringo” Langley on the sci-fi/horror series The X Files. In recent years however, and after the death of not just Joey but also two other original band members, Dee Dee and Johnny, t-shirts and bags embellishing their logo have become an increasingly common sight. Combining mainstream appeal with a cult fanbase, it is not surprising that crossover TV shows such as The X Files may have been the first port of call for those first wishing to adopt aspects of what used to be a niche appeal. And this is something that annoys me. On the other side to Felicia’s argument, the main problem I see isn’t what being a Geek is, it’s what being a Geek isn’t. Although I don’t solely define myself through them, I enjoy films and TV shows, and that’s why I studied them at university, it’s why I collect VHS tapes, and it’s why I edit wikias. Admittedly I don’t shout about those last two from the rooftops, and maybe sometimes I haven’t always stood up for them as much as I should (sorry Felicia), but those are just some of the reasons I use the word Geek to describe myself. Perhaps almost conversely, I chose the name i, Coomber as a reference to Asimov’s i, Robot, and if you think the shortened use of iCoomber is because I’m an apple fanboy rather than the internet not liking commas and spaces, then, like Day says “that’s your problem”. But when I see “fashionable” girls walking through the high street with a jumper saying “Geek”, I want to ask them how they feel about the differences between old school and new Battlestar Galactica, before berating them for not even knowing what I’m talking about, let alone not having an answer. Again, as Day says, knowledge of cylons and vipers isn’t a prerequisite to use this term, and I admit there is a certain amount of irony that they will likely consider my prejudice to not be their problem, but do these factors still make them a Geek as well? I agree with Felicia that it is something we need to re-own, but knowing how to go about it may take more thought than a single youtube message. How do we rebel considering that many of the symbols of our rebelling against the conventional, have themselves become usurped as an adopted convention? For those of us with genuine interests, not caring about people’s prejudices and not subscribing to corporate labels is one thing, but I believe that these are not the people we need to re-own Geek from. I now wear my Soylent Green t-shirt as much for its warning about industrialised processes creating products not for, but from people, as much as because I enjoy the 70’s classic. I do so because I walk past too many others wearing a Ramones t-shirt that have never heard their music, let alone embody a spirit of being a rebel, an outsider, or a fighter, and so I have to ask. Is that “not my problem” too? Transmedia storytelling: Where do we tie-in from here? Having been around almost as long as cult film and television itself, tie-in media is now serious business. Star Wars alone includes over 20,000 years of “Expanded Universe” history to support only six (so far) canonical feature films. But how do you go about creating such a detailed background, and what exactly is this background in the first place? Firstly, you don’t have to. Tie-in media is generally anything that takes an already established story, usually a TV show, and tells another story using those characters, settings, etc, and it doesn’t have to be part of an epic sci-fi saga. Something as simple as the novelisation of Snakes on a Plane, or even the Dad’s Army stage adaptations could also fall under this category. Starting at the beginning, perhaps one of the earliest pieces of original tie-in fiction was 1968’s Mission to Horatius, a young adult Star Trek novel by Mack Reynolds. Like the episodes of the series itself, the novel told the story of the Enterprise crew on an outer space adventure, thrills and danger were experienced, before everything is heroically, and not to forget neatly, concluded. Returning everything to the status quo meant that viewers and readers could dip in and out of adventures and not get lost. Everyone knew the central relationship between Kirk, Spock and McCoy, knew that Uhura would be there to take the messages, and the Klingons were the badguys. As time went on however, things changed. 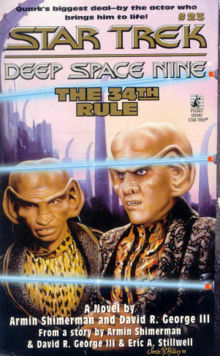 ‘The 34th Rule’, by Armin Shimerman and David R George, filled many of ‘Star Trek’s Utopia’s gaps. Klingon peace treaties and the civil rights movement aside, Star Trek evolved, and its tie-in fiction along with it. The episodic TV series’ led to feature films with an ongoing story arc. The Voyage Home remains one of the most popular Trek films to date, but without a recap of The Search For Spock, those who haven’t seen it may be a little confused as to why there’s no Enterprise. Likewise novels were joined by comics that contained stories that could often have cliffhanger endings, leaving readers waiting with baited breath for next month’s issue. Ten years after it’s initial cancellation, the other long running science-fiction series Doctor Who regenerated into audio adventures, reuniting cast members to portray their charcters, even if by only voicing them. With the series once again gracing TV screens, these classic Doctor tales are still going strong. Following this, the new millennium began with The Matrix gifting the world with a new breed of tie-in, containing almost as much new storytelling as slow motion CGI. More than just new adventures however, The “Wachowski Warship” as the Wachowski ‘Brothers’ are now known, utilised comics, short animation films, and even a computer game, in order to tell the same narrative story, only from different perspectives; While the audience watching The Matrix Reloaded would witness Niobe imparting news of how a ship called The Osiris discovered a Sentinel threat, those who have seen the aptly named Final Flight of the Osiris would witness that discovery first hand, but only Enter The Matrix players would know how the story, and indeed the intel would be picked up and delivered by Niobe after Osiris’ drop off. 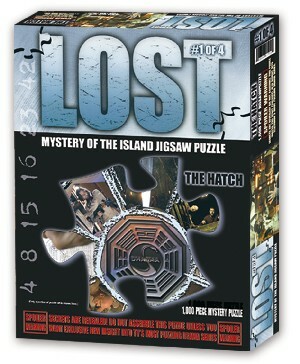 Jigsaw Puzzles were a unique, but laboured piece of ‘Lost’ transmedia story-telling. Even worse than Bad Twin‘s duplicity however, semi-canonical storylines set on the island itself, Lost: The Video Game for example, only served to complicate ideas even further by leaving players wondering what should be separated as Lost ‘fact’ from Lost ‘fiction’. Frustrations aside however, you can’t help but admire the planning that went into such a tie-in effort, orchestrated by writers and producers of the show itself. With the advent of serial-arc based TV drama however, a concept that even Star Trek adopted, tie-in media encountered new problems, but which were relatively easy to overcome. With such a vast universe to explore, Star Trek: New Frontier was created to boldly go where no tie-in had gone before, featuring a completely new ship and crew. A short lived series of novels also looked at how the exploration that epitomised Star Trek was conducted by Starfleet’s Klingon counterparts. Needless to say, conquering was involved. But the main problem came when the series ended. Often tie-in media was the place to go for fans who were hungry for more, but with the number of television programs adopting story arc’s now being the vast majority, there are more than one in which the final episode concludes its story through what would be a major game change in the characters lives. With tie-in authors unable to make any significant contributions to the development of character’s audiences loved, this was often the last they ever heard from them. Whether boosted by the example set by Lost, or by their own enthusiasm as fans, producers of cult shows have begun to take transmedia storytelling more and more seriously, and continue to tell their stories themselves, after the shows have been cancelled. Something which comic publishers have been keen to capitalise on, releasing stories that not just continue a TV show’s narrative, but do so to the point where they are considered canonical, and even released in mini-series corresponding to the original show’s seasons. Joss Whedon’s Buffy the Vampire Slayer: Season Eight is an early example of this, and it has just been announced that The X Files will be the latest, with “Season 10” due to be published over a decade since “Season 9” was broadcast. Obviously great news for fans of cult franchises whose cast and crew could not be reunited, but more importantly, those that studio executives are no longer willing to risk money on. But in the current climate of “Brand Recognition” (the idea that particularly in a recession, audiences are less likely to take risks with unknowns, and spend their money more on franchises they already know), this also comes at a price. As Buffy was a popular money maker throughout it’s seven season run, I’m sure Fox have no problem in allowing Dark Horse to license it’s intellectual property for as long as the royalties will keep on coming in. Firefly on the other hand, also written and produced by Whedon, is a series that Fox doesn’t generally like or understand, and so was cancelled during it’s first and only season. Unable to establish the widespread fanbase it deserves, what the show lacks in quantity of fans it more than makes up for in quality, and with only fourteen episodes and one feature film produced, they are always eager for more. Joss Whedon’s time management aside, surely I’m not the only one who considers Fox’s dismissal and consequentially the the series’ lack of money making ability to be an important factor in it’s lack of comic production, a mere fraction of the titles set in the already heavily established ‘Buffyverse’. The slayers’ Scythe appeared in the comic ‘Fray’ before ‘Buffy The Vampire Slayer’. Although transmedia has gained popularity and acclaim throughout it’s lifetime, I can think of only one instance in which a piece of tie-in fiction has influenced the TV show which had born it. When writing a comicbook mini-series, Whedon (I know I keep mentioning him, but do so not through choice, but simply due to the prolific and various natures of his work) assumed people would only want more slayers from him, and so obliged accordingly. Even when considering this is just a very brief overview of its history, it is no wonder that tie-in media is increasingly now referred to as ‘transmedia’ storytelling. These new stories are no longer being written to tie-in with bigger storylines, they now often are the bigger storylines. Before commenting on the current emerging trends of where it is taking us next, it is important to remember that new developments of transmedia do not always mean the end of the traditional, which are still important in their own right. Whilst Star Trek‘s on-screen adventures may have returned to an alternative view of Kirk & co, with the films writers and producers involved with the parallel and prequel comic series, brand new adventures of Picard, Sisko, and Archer (not so much Janeway) are still recalled through a plethora of novels. Novels which do not just keep characters alive, but which allow newer and previously unpublished writers to be read. Una McCormack for example, has gone from writing internet fan-fiction, to pretty much holding the fate of Cardassia itself in her hands. More than just Hollow Men and The Never-Ending Sacrifice being two of the best Star Trek novels I have read (and I’ve read more than a few) writing tie-in fiction has given a writer the opportunity to not only contribute to series she loves (she has also written books for Doctor Who), but this has also lead to her own original fiction being publisd as well. But just as with all evolutions, it seems the tree of transmedia is again spliting into two separate branches. Whereas previous divergences occured from prose to comic to audio however, this one is at the heart of on-screen media itself. One thing it seems, is that with a rise of adaptations and series such as The Walking Dead and Game of Thrones, transmedia has come full circle. Whereas tie-in material published through books were previously used to supplement on-screen adventures, now it seems that what we see on screens, is more and more filing in the gaps and producing it’s own additional narratives to supplement books and comics. Somehow creating three longer than average movies from a single children’s paperback, The Hobbit immediately springs to mind. The Avengers Assembled. Six movies that form only “Phase One” of the ‘Marvel Cinematic Universe’. More than this however, is the new tradition that has developed in which feature films now seem to be produced at a rate to rival TV episodes, something seen particularly with the recent Marvel Cinematic Universe. This is well worth noting here, as what is being described as “Phase Two”, the continuation of films that culminated in Joss Whedon’s (told you, prolific) recent blockbuster The Avengers (Assemble), will constitute not just Iron Man 3, Thor: The Dark World et al, but also a S.H.I.E.L.D. Television series. 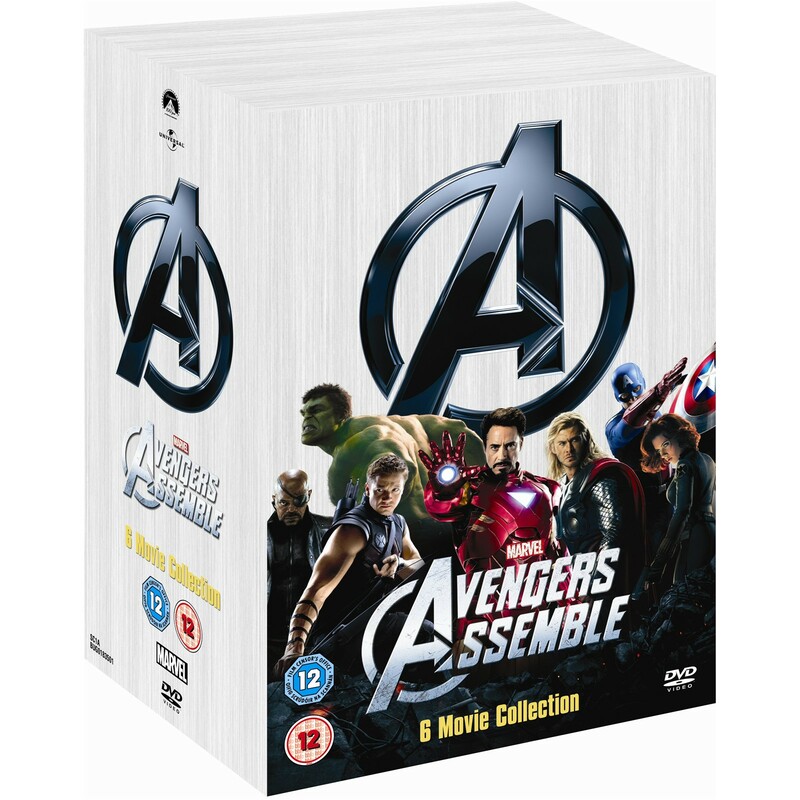 While it remains to be seen exactly how much this new series will link in with the films, with the inclusion of Agent Coulson who was seen dying in The Avengers (Assemble), filling in the backstory of how the S.H.I.E.L.D. organistation was created cannot be ruled out. But regardless of the stories the TV series will tell, it seems that where TV has traditionally been the primary narrative with tie-in stories from ‘lesser’ media supplementing them, the twentyteens have not just followed Star Wars’ lead and promoted the primary narrative to cinematic heights, but with S.H.I.E.L.D. alongside The Clone Wars, promoted the supplementary stories to the ‘lesser’ medium of Television.